Around the turn of the century a genomic arms race was underway in the U.S. The Human Genome Project and Celera Genomes were pitted against each other to become the first group to ever sequence the complete human genome. Their competition drew the eyes of the world, eventually culminating in a joint announcement on June 26, 2000 that both groups had produced a draft of the human genome. But while their public-private rivalry held the spotlight, on the other side of the world another organization was quietly taking root and would eventually becoming the largest genomics enterprise in the world. The Beijing Genomics Institute, now known as BGI, was established in 1999 with the goal of putting China on the map in the field of genomics research—and certainly no one can argue that they have not achieved that goal. By 2013, BGI had turned out the sequences of some 50,000 individuals, a number is surely several-fold higher today. BGI is well on their way to achieving their stated ambition of sequencing a million people. But in 2012, the company’s chairman, Huanming Yang, delivered a speech to a captive audience at BGI Shenzhen that articulated a much grander vision for the future of genome sequencing. To sequence everybody in the world seems an impossibly lofty goal, but that doesn’t stop Yang, George Church, and others around the world from standing by it. Indeed, with the earliest HGP-era genomes costing $10 million to produce, the iconic “$1,000 genome”—finally achieved in 2014 by Illumina—once seemed just as lofty a goal. But beyond feasibility, there’s another consideration that the goal of sequencing everybody in the world takes for granted: many people don’t care to have their genome sequenced at all. To many biotechnologists, that standpoint can be confusing, even frustrating to the extent that it impedes genomic research. Right now, as companies and institutions seek to amass enormous biobanks of genomic data for their research, many opportunities are available for individuals to have their genomes sequenced at no cost to themselves. Why shouldn’t every person want to sign on to one of these endeavors? 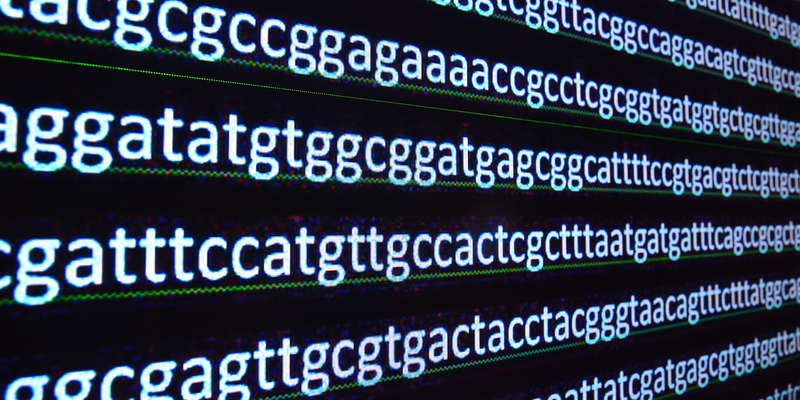 As it turns out, objectors to personal genome sequencing have a lot of reasons why not. Some would prefer not to be sequenced because they see no personal benefit from participation—and unfortunately, in many cases, they are right. Many genomic studies actually don’t return that data or its interpretations to their individual participants. And even when they do, despite our best efforts, extraordinarily little is known about the nuances of human genome, and what we do know can be hard to interpret. Although more genes and risk factors are being catalogued all the time, our knowledge of how genetics, epigenetics, and the environment all work together in concert to make a person who they are is in its infancy. Thus, although the outlook for personalized genomic medicine is good in the long term, many people realize that sacrificing their genome today may not yield any predictive or preventative value to their health and happiness. Other objectors, on the other hand, suspect that knowing the content of their own genome might hurt rather than help them. Members of this camp want to leave buried clues about their medical fate that may be tucked away in their genome—especially about conditions for which they can’t take preventative action or for which there is no cure. And finally, there are those who fear that the information that crops up in their genome might be used in harmful ways. One much-talked about potential harm is the possibility that health insurance companies will use genomic data as evidence of pre-existing conditions for which coverage can be denied. Relatedly, some worry that their genome may be used as the basis for employer discrimination—say, to deny a data entry job to a person who is genetically predisposed to carpel tunnel syndrome. Others are even concerned that the content of their genomes may be used for targeting advertising, the same way that Google uses the data from our internet searches. All of these objections are set against an uncertain regulatory backdrop where, in many countries, it’s still unclear what ownership rights a person has over their genome. Once sequenced, do people have a right to know their data? Do they have a right now to know? Do companies and institutions have a right to use and share that data however they see fit? As scientists around the world undertake the sequencing of millions upon millions of humans—if not everybody in the world—these unanswered questions become ever more relevant to deciding whether we’re moving toward a future of personalized genomic medicine, personalized genomic marketing, or both.